"OK, they are 10 points behind, but there is a long way to go in the season and it just sounds like typical manager mind games to me." 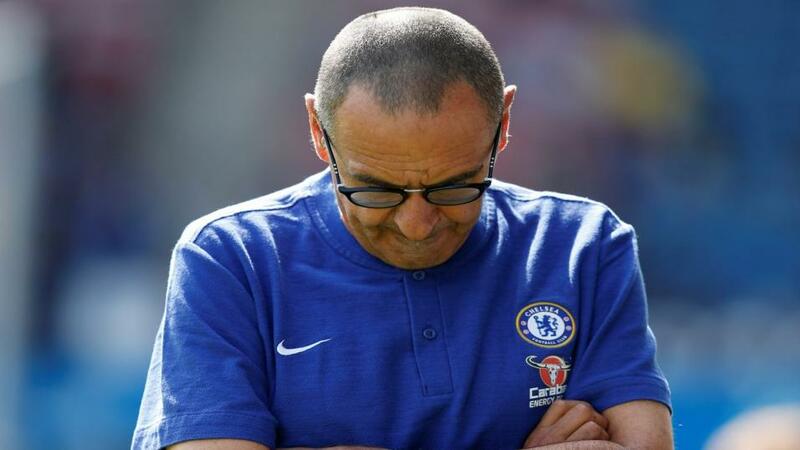 After Wolves beat Chelsea on Wednesday night, Maurizio Sarri said his team were in a fight for top four alone now, with Manchester City 'in another category' but I am sure he is still thinking about the title. There's been a lot of talk about Chelsea needing a new striker in January, with Alvaro Morata missing chances and Olivier Giroud not scoring, but I don't think they'll go in to the market. These are two good players and, as I've said many times in the past, it's not just up to the centre-forward to score the goals. Man City ended up hanging on a bit at Watford in midweek, eventually winning 2-1, but that's what champions do - find a way to win. The best teams can play sh*t and still win - no one is going to score six or seven goals every week. It will be a tight game at Stamford Bridge on Saturday, but I can't really see Chelsea getting anything out of the game. I can see the visitors edging it, maybe 1-0 or 2-1, as they have more attacking weapons than Chelsea. Leroy Sane in particular has been flying in recent weeks. He's player I like a lot, he has speed, stamina, he scores goals, makes goals. He wasn't in the team every week at the start of the season but that is where Pep Guardiola comes into his own. He explains to every player why they aren't playing, but that their chance will come - he's a good psychologist. 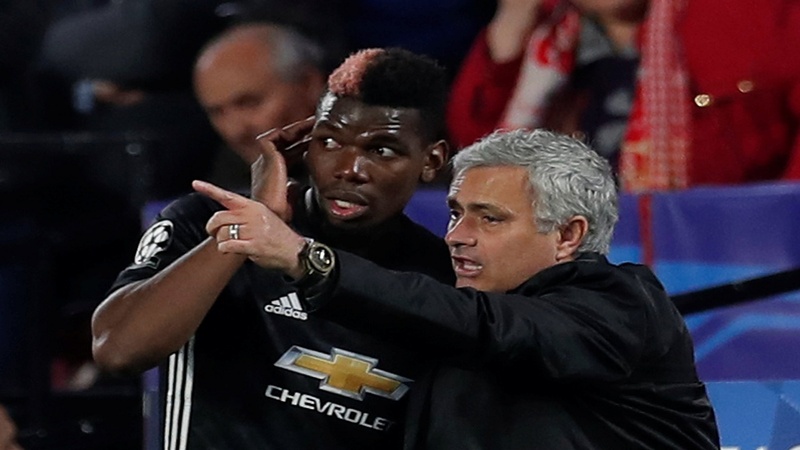 Manchester United against Arsenal on Wednesday was a very exciting game for the fans but there were so many mistakes from both sides and the managers have plenty to work on. A draw was probably a fair result in the end given the balance of play, but it wasn't a particularly helpful one for United as they look to get nearer the top four. There is now an eight-point gap to Chelsea in fourth, but Jose Mourinho won't be giving up on top four, the chance is still there. It's not going to be easy, of course, but United will fight for it. There was, inevitably, a lot of talk about Paul Pogba being on the bench but I liked the selection of Lingard, Rashford and Martial in the forward areas; the team played with a lot of energy at the start and that's what the fans want to see. Next up for United is a visit from Fulham, who have made a decent start under Claudio Ranieri, with four points from three games. After three draws in a row, it's an absolutely must-win for Man Utd but Fulham may fancy their chances of getting a draw as Crystal Palace did at Old Trafford last month. Ranieri is all about 'work, work, work' so it will be another tough game for United. I have to confess to not knowing much about new Southampton manager Ralph Hasenhuttl (ed: here's our profile of the German for anyone else in the same boat) but I watched their game against Spurs and they showed enough to make me think they'll be OK, creating plenty of chances and hitting the woodwork a few times. I didn't expect them to be at the bottom of the table before the start of the season but with the new manager bringing energy and new ideas, they'll be hoping to climb the table quickly. From a Tottenham point of view, it's great to see Son Heung-min playing so well. He had an emotionally draining summer, playing in the World Cup and then the Asian Games, knowing that anything less than a win would mean going into the Army, so it was a slow start but he looks fresh and firing now. He's playing with real freedom - I guess not having to go the Army will give that to you! Win £100,000 by picking six correct scores!